Best Blair Style Season 1 或者 Season 2? Do 你 prefer her headbands 或者 her clothes? Do 你 like her Sports Clothing? 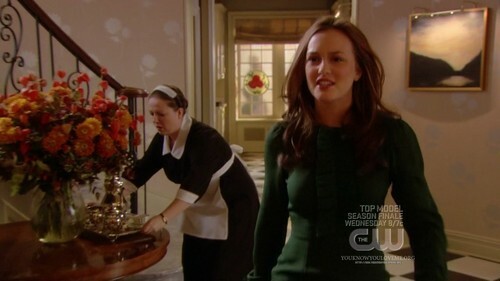 can anyone give me any 建议 on getting hair like blair's? needs to be appreciated 由 everyone. What do 你 think? Do 你 爱情 them? Get ready for Blair Waldorf and Chuck 低音 as you've never seen them. 或者 at least the smokin' hot stars who play your Gossip Girl favorites. Elle has an upcoming feature on Ed Westwick and Leighton Meester, and as 你 can see, one 照片 has been leaked. They are looking very goth, and glam ... and hot. We previously saw Eric's breakdown of Serena's style for Season 3. Now he's talking about how the 显示 is reinventing Blair's look with her matriculating at NYU.